After drawing the recent Jon Foreman portrait, I really liked the feeling of drawing a photo I took and just really liked the idea of doing more drawings like that. 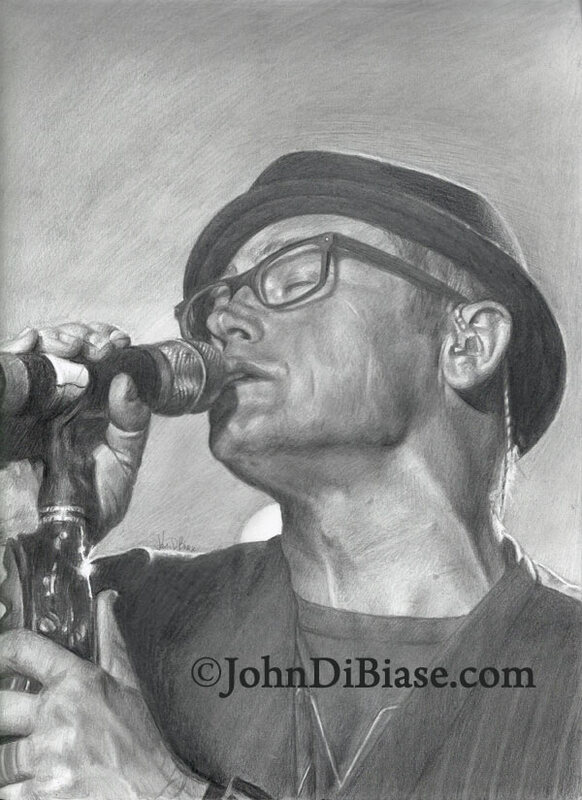 So to start, I decided to work on a photo I took of TobyMac in concert on his Hits Deep Tour in December 2012. I started working on this drawing at home and then took a trip to San Diego to visit my brother and his newborn baby girl, and I made sure to carve out a few hours one night in a hotel lobby to continue working on it. I broke the streak of drawing every night, but it felt great to work in some time while on the road. I’m actually pretty happy with how it turned out (which is a rarity).